This 1973 flatroof court yard beauty was a great job to take on. 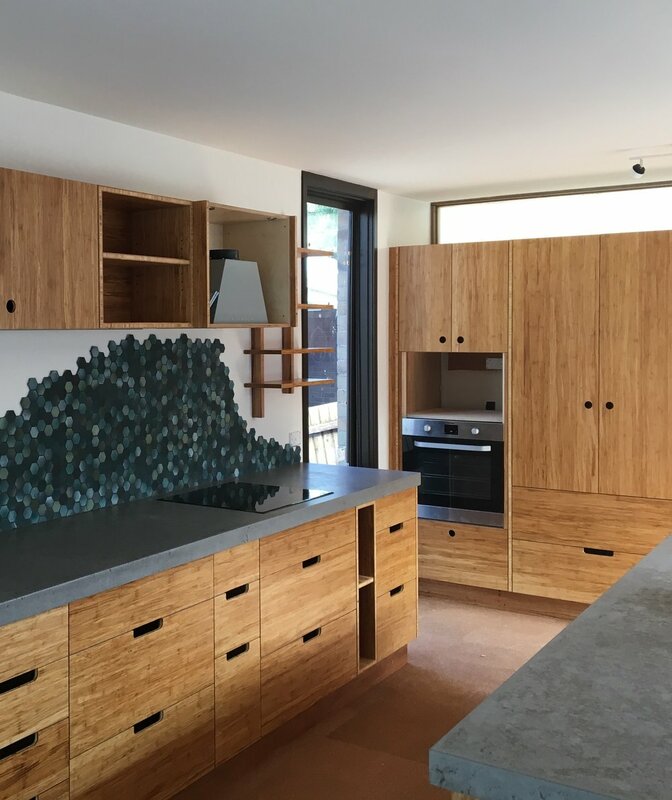 The new kitchen made from bamboo veneers. Draws lined with birch ply, amazing detail in this joinery, concrete bench tops. Using cork for the flooring in the kitchen and dining areas keeps that 70s vibe throughout the back of the house. Lounge, kitchen flooring and some new windows and doors all oiled with Livos interior oils. Exterior timber done in Livos exterior and Taubmans exterior endure, Colourbond monument.